November is a month of 11's. The Pope holds the Key. The Pope is the key. Saint Malachy lived in the 1100's. 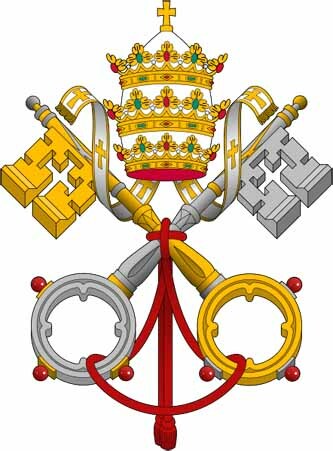 Attributed to him were several miracles and a vision of the identity of the 112 Popes called the Prophecy of the Popes. He successfully named every Pope, including the 111 Pope who is Pope Benedict XVI (2005 - present) followed by the final pope -- 112 Peter the Roman -- who will nourish the sheep in many tribulations. When they are finished, the city of seven hills will be destroyed, and the dreadful judge will judge his people. The End. Pope Benedict is now 84, the same age his predecessor was at the time of his death, and he's clearly starting to slow down. But he might not have to die to relinquish the papacy - he could retire. Joseph Ratzinger was elected in the secret conclave a few weeks later, and became Pope Benedict XVI. At 78, he was the oldest new pope in nearly 300 years. It would be an exaggeration to claim that the worldÕs media are preparing for the next papal passing with the same vigor as they did last time, but there is definitely new attention to this pope's health.